Our Sunday Services Group Road Bikes Rides started in 2013 in the Peninsula store; we've expanded them to all three stores this year. 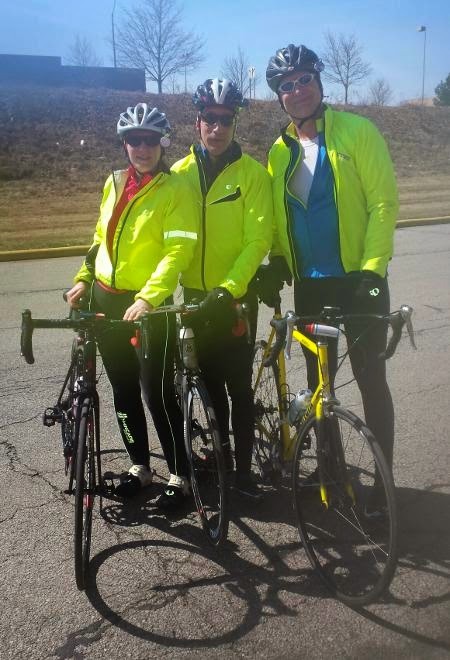 The first ride in Rocky River took place on April 13, and the first in Medina this past Sunday on April 27. Cathy from the Medina store reports that the ride was a success, with no mechanical issues, accidents, or unpleasant run-ins with motorists. Eight people showed up; four customers and four Century Cycles staff. It was rather windy during the first half of the ride, which made the return trip easier as it became a tailwind. The next ride in Peninsula is this Sunday, May 4 at 10:00am. You may also want to stop by the Valley Fire District beforehand or afterwards for their annual pancake breakfast, 8:00am-1:00pm. They are located about a mile east of the store on State Route 303. Prototype versions of this concept has been bouncing around various crowd-funding sites the past couple of years, but they are finally available as a regular product. 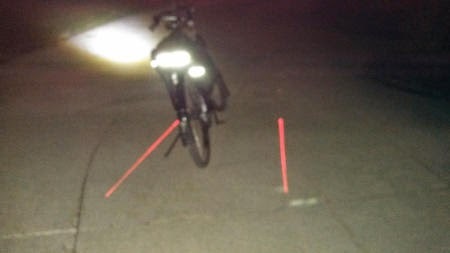 The Seattle Sports Lazer Lane Taillight uses 2 red lasers to project a virtual bike lane onto the road beside you. It also has a set of regular LED lamps to function as a standard taillight. I tried this light out on my ride home from work last week. First, I had to install the two AAA batteries (included). You have to use a small jeweler's screwdriver to remove the battery cover, which can be a bit of a pain, but the good thing is that you don't have to worry about it popping off when you ride over a bump, which has happened to me with other taillights. When you put the battery cover back on, you have to be very careful to get the rubber grommet back in place in the groove around the edge of the light, but this piece does help the light keep the weather out. 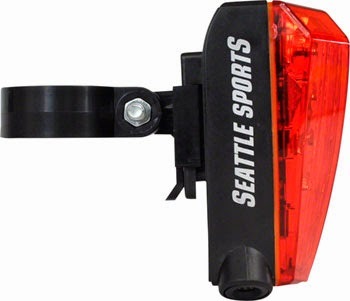 I think this light would work best for the typical urban cyclist who carries most of their stuff in a backpack or messenger bag and doesn't have a lot of stuff on their bike. 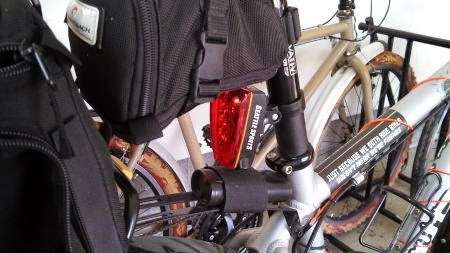 The drop-down side panniers on my Topeak MTX EXP Trunk Bag blocked the lasers a bit. I moved most of my stuff to the right-side pannier so I could fold up the left-side (traffic side) pannier to give the laser more room. I usually have pretty good luck co-existing with cars on my ride to and from the shop, so it's hard to say how much the Lazer Lane Taillight helped. But, it functions as it should, and would be a good addition to the bike commuting gear of any urban (or suburban) cyclist. The run time of the batteries varies with whether you're using the lasers, the LED, or both, and whether you're using them in steady, strobe, or flashing modes. See the Lazer Lane Taillight product page on our web site for details. Bay United Methodist Church will be holding a "Bike to Church Sunday" on May 4, 2014 for the 10:00am service (weather permitting). The local community is invited to participate. Participants are encouraged to bike or walk to Bay Methodist, 29931 Lake Rd., Bay Village, OH (Phone: 440-871-4202). Snacks will be provided prior to the service, and the Wellness Committee will be serving healthy and delicious items after the service in the church social hall. April 29, 6:30-8:00pm: Rocky River Bicycle Fair - Rocky River Middle School, 1631 Lakeview Avenue. April 29, 6:30-8:00pm: Medina Bike To School Night at Century Cycles in Medina, 1059 North Court Street. 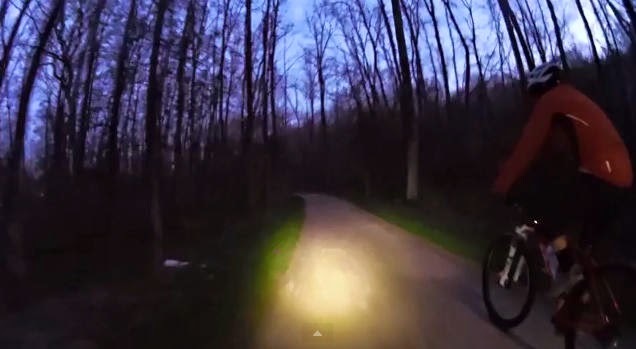 Thanks to the 126 people who turned out for the first Night Ride on the Towpath Trail of the season last night! It was a chilly night, but thankfully clear and dry. We made this video of the event, which is a time-lapse video (still photo taken every 5 seconds) using the new Garmin Virb Elite video camera. Take note of Peninsula mechanic Joe D. fixing a flat tire in seconds! Our next Night Ride on the Towpath Trail is on Saturday May 17. Hope to see you there! Our 20th Season of Night Rides on the Towpath Trail kicks off this Saturday! 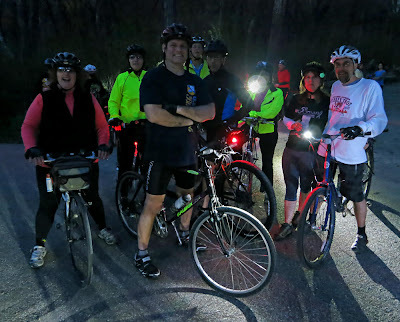 Join us at the Century Cycles store in Peninsula on Saturday, April 26, 2014 for the first ride of our 20th season of Night Rides on the Towpath Trail! Our ever-popular Night Rides have been featured in Bicycling Magazine as "One of America's Great Group Rides," in Bicycle Times magazine, and even The Huffington Post! These rides are FREE, fun, casual (not a race), and family-friendly. You must have your own bicycle, helmet, and headlight. No pre-registration is necessary, but you must sign a waiver when you arrive. The rides starts promptly at 8:00pm, so arrive a little early to make sure you have time to park your car, get yourself and your bike ready, and sign in. See this article for other tips on planning and preparation, plus these Night Ride Safety Tips. The store will be open before the ride in case you need any last-minute supplies or service. The ride is about 14 miles long, which takes most people about 90 minutes to 2 hours. You can ride at your own pace, and if you're not feeling up to the full 14 miles, you can turn around and head back at any time. Most folks head next door after the ride to The Winking Lizard Tavern for a post-ride snack and to re-live past cycling adventures! 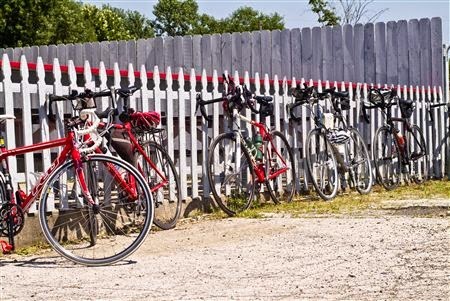 The 26th annual Great Ohio Bicycle Adventure is on June 14-21, 2014. This year's route will be in Mansfield, Orrville, Coshocton, Mount Vernon, and Bucyrus. The deadline for early registration discount is April 30. Your entry must be postmarked by April 30 to receive the registration rate of $235. After that, the rate increases to $260. 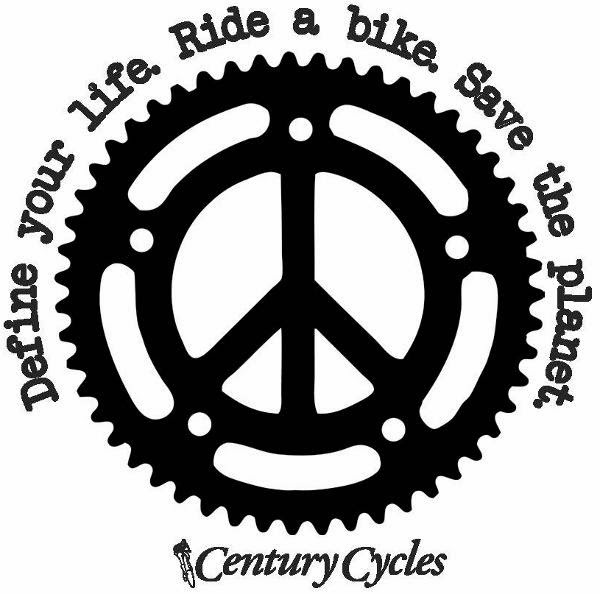 Look for the Century Cycles support van this year, as in every year, along the entire GOBA route! The biggest bike-to-school program in the nation, the Century Cycles Bike to School Challenge, begins on May 5, 2014, with events in Bay Village, Medina, and Rocky River. From May 5 through May 23, over 4,000 students at six schools will take the challenge. Using daily bike counts and surveys to gauge participation, the students are gearing up to compete for prizes and hope to beat last year's impressive records. Sponsors Raleigh Bicycles and Century Cycles will award Raleigh bicycles to students as prizes, along with prizes from other local and national sponsors. Continuing with original Bike To School Challenge founders Bay High School and Bay Middle School, this year also sees the addition of Westerly Elementary School! May 1 - Bay Village Bicycle Fair at Bay Middle School - The public is welcome at this FREE event. Bring your bikes in for a free safety inspection, get a chance to win a free helmet, and get more information about the Bay Bike To School Challenge, plus talk to other program sponsors. May 19 - Bay Bike To School Challenge begins at Bay High School and Westerly Elementary School. May 5 - Medina Bike To School Challenge begins at A.I. Root Middle School and Claggett Middle School. May 16 - Medina Bike To School Challenge ends; final assembly and prizes awarded at both schools. April 29, 6:30-8:00pm - Rocky River Bicycle Fair at Rocky River Middle School. The public is welcome at this FREE event. Bring your bikes in for a free safety inspection, get a chance to win a free helmet, and get more information about the Bay Bike To School Challenge, plus talk to other program sponsors. May 5 - Rocky River Bike To School Challenge begins at Rocky River Middle School. May 23 - Rocky River Bike To School Challenge ends; final assembly and prizes awarded. 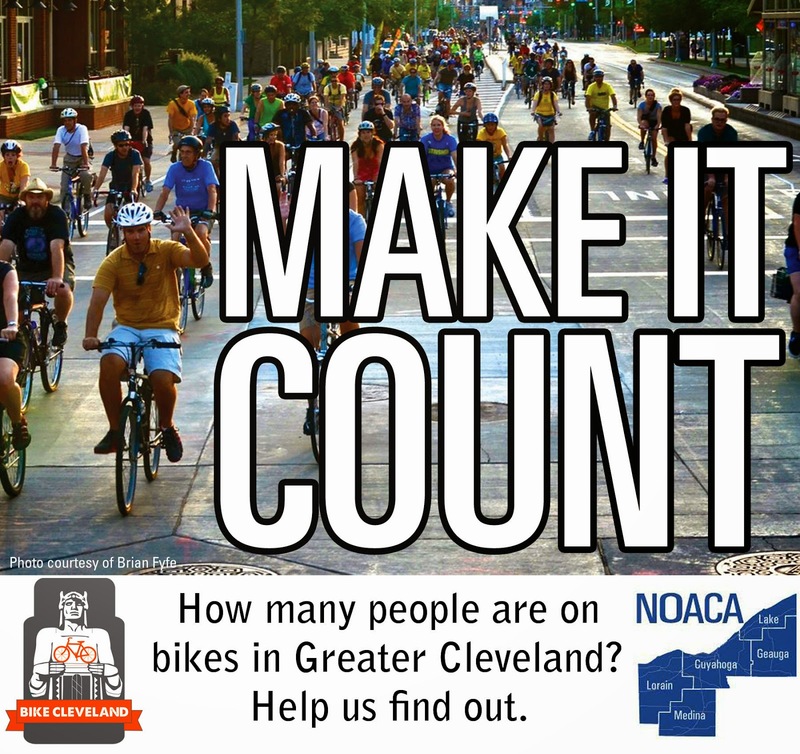 Bike Cleveland and the Northeast Ohio Areawide Coordinating Agency (NOACA) need your help counting people on bikes May 6th, 7th, 8th, and 10th. The data you help collect will be used to improve biking conditions in our community. In addition to knowing that you are helping make riding a bike an enjoyable experience for people of all abilities, volunteers will receive a gift card to a local bike shop of their choice...WHAT?!? That's right, a free gift card to get some sweet bike gear just for helping count bikes, SO SIGN UP NOW. If this is your first time participating in in a bike count with NOACA, you will need to attend a short orientation session. For more information and to sign-up visit noaca.org or contact Marc Von Allmen at mvonallmen@mpo.noaca.org or 216-241-2414 ext. 250. The National Bike Challenge is back for another year! It's time once again for the National Bike Challenge! This event was started by the League of American Bicyclists in 2013, and continues bigger and better this year! The National Bike Challenge runs from May 1 through September 30. Every time you ride your bike, log your miles and earn points for your town, region, team, and company! Every mile you ride counts as 1 point, plus you get 20 bonus points for every ride! The National Bike Challenge web site is new and improved this year, with support for more ride tracking apps, easier to find and join teams, and better tools for creating and managing groups for your work place. In addition to Endomondo, the site also supports MapMyRide and Moves. 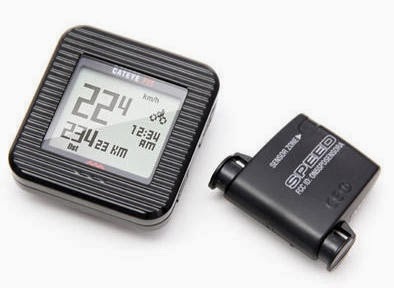 So, if you one of those apps to track your bike rides, and link it to your National Bike Challenge profile, your mileage will be logged automatically! If you use another app, or no app at all, then no worries. It's easy to log into your National Bike Challenge account and manually log your rides for full credit. If you participated in the Challenge last year, keep in mind that this year, the web site is all-new and redesigned, so you'll need to register all over again. Once you're registered, you can join a team, as well as join a group for your workplace or school. Check with your employer's human resources or health and wellness coordinator to see if they've already set up a group for your company. Don't have a team of your own? Then join the Century Cycles Team! After you register on the National Bike Challenge web site, just go to the MY ACCOUNT page, click SEARCH under the Team heading, and look for Century Cycles! You'll be helping all of us log those miles for all of our communities in Northeast Ohio! 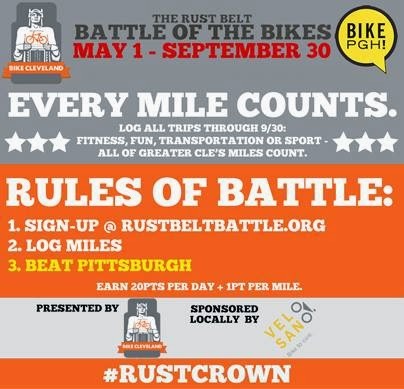 Best of all, you'll be helping us avenge last year's bitter defeat in the Rust Belt Battle of the Bikes! 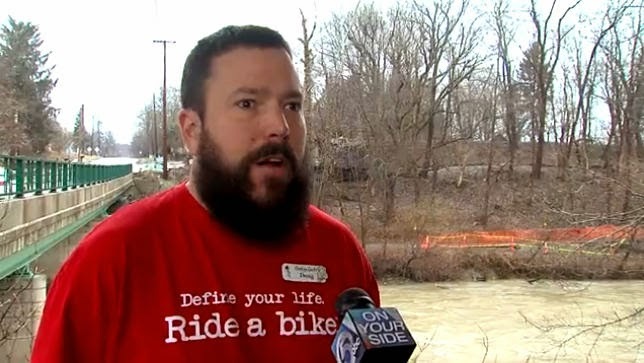 This local challenge will be in full force again, pitting cyclists in the Cleveland region against those in Pittsburgh. Brought to you by our local bike advocacy organizations, Bike Cleveland and Bike Pittsburgh, this friendly competition shows which metal city has more cycling meddle! Last year, we were narrowly beat by da 'burgh, and on a technicality, no less. Although we had MORE overall miles, they got more bonus points for a greater number of bike trips! So log every bike ride you take, no matter how big or small! If you don't have time for a regular ride every day, just take a spin around the block and log it! Ride to your mailbox and log it! Stop by one of our stores and test-ride a sweet carbon road bike with electronic shifting and LOG IT! The new National Bike Challenge web site is at www.nationalbikechallenge.org or www.rustbeltbattle.org! Register today, and start tracking your bike rides! The Sea Otter Classic is a cycling event held in Monterrey, California each spring. It's a series of events in one, with multiple bike races including road, mountain, and cyclocross formats, plus a bike industry expo. Many bike manufacturers took advantage of the event to test and announce early previews of products for the 2015 season. Raleigh Bicycles has been designing, developing, and prototype-testing a new full-suspension mountain bike for the past few years, and this year's Sea Otter was its first public appearance, when it was ridden by Jeremy Driscoll of the Raleigh Clement Racing Team in the Sea Otter XC mountain bike race. The Raleigh Scarn is Raleigh's first full-suspension bike in over a decade. It's a 29-inch wheeled aluminum frame with carbon seatstays and Fox suspension with 100mm of front and rear travel. Reports indicated that the Shimano XTR-equipped bike weighed in at just over 25 pounds. It's expected to be available to the public in the fall of 2014; pricing has not been announced. You can read more detailed reviews at Bike Rumor and Bike Magazine. Speaking of full suspension, there have been a few custom-made one-off full suspension snow bike made, but fat bike industry pioneer Salsa Cycles steps up to the plate with the first production model of a full-suspension snow bike. 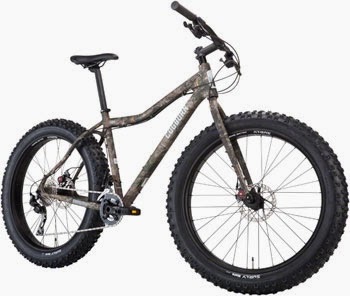 The Salsa Bucksaw features the Salsa Split Pivot suspension design perfected in their 2014 Spearfish and Horsethief models. It's designed to work with the eagerly-anticipated RockShox Bluto fork, the first fat-bike fork from the pioneering suspension company. Paired with the RockShox rear shock, you get 100mm of front and rear travel, plus all the snow and muck-gobbling traction you've come to expect from the Surly Nate 26x3.8 tires on Surly Holey Rolling Darryl rims. Here are more details from Salsa Cycles, plus more about the history and development of the bike. Ever wonder what the most grueling, endurance-based sporting event on the planet is? Most would say the Race Across Amercia, a 3,000-mile cycling event with no stages and no stops, just non-stop racing from one end of the country to the other! Oh, and you have just over a week to complete it! Champions of the race complete it in 8-9 days. Do the math...that's a lot of time in the saddle with very little time for rest or sleep. On the next episode of Radio Century Cycles, host Bob Soroky will be chatting with one of the founders of RAAM, and the first man to ever win the event, Lon Haldeman! Tune in live at 10:30am, Tuesday April 15, 2014 by clicking on over to: Radio Century Cycles Episode 29. But don't worry, for those who aren't up for that kind of challenge, we'll be sharing some fun local rides that you can tackle! Prior to the start of the solo division of the 2011 Race Across America, the original four competitors from 1982 were recognized and given special awards. From left to right: Lon Haldeman, John Howard, Michael Shermer, and founder John Marino. 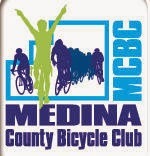 The Medina County Bicycle Club is composed of individual members and cycling enthusiast families. 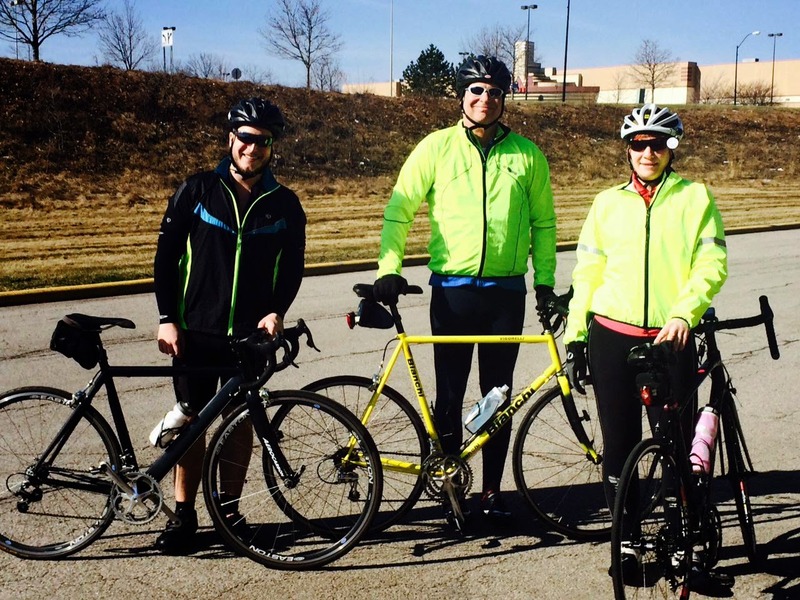 Although focused on the Medina area, membership is open to anyone from the area looking for a group of like-minded individuals to share their biking experiences. 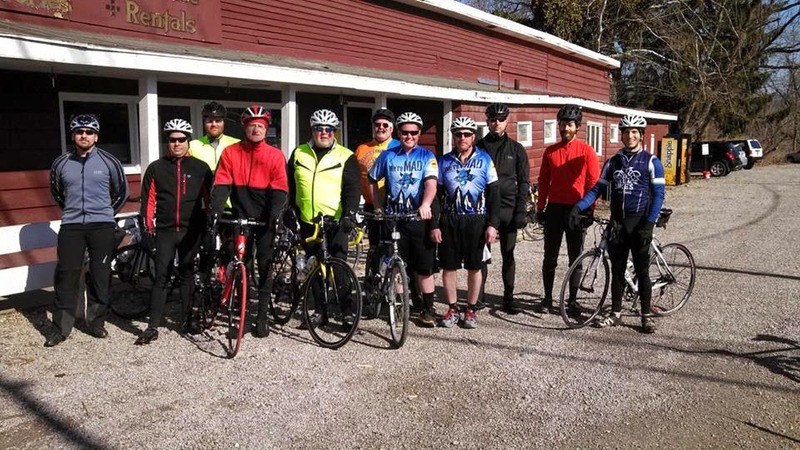 The club's Ride Schedule includes weekly rides for all skill levels, with different groups riding together according to "Race Pace," "Sport Pace," or "Conversational Pace." They also organize four major bicycle events throughout the year, the most popular of which is the Ice Cream Odyssey in July. The others are A Bi-Cycling Dandy Excuse For Getting Hibernated In January (ABCDEFGHIJ) Ride, a New Year's Day tradition since 1977; the Ramble Around Medina (RAM) in September; and the Friendsville Freebie Fifty/Fall Foliage Frostbite Frolic (FFF/FFFF) in October. You can become a member on their web site at www.medinabikeclub.org, or you can also go there to download a mail-in membership form! Hopefully, we're finally away from snow bike season. But, if you've been thinking about a snow bike, or a fat-tire bike for navigating rough terrain year-round, there's a new game in town. 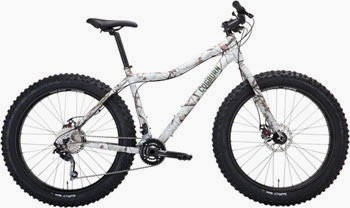 The Cogburn CB4 Fatbike features a lightweight aluminum frame, Shimano Deore 2x10-speed drive train, SRAM 22/36-tooth fat bike crankset, Avid BB7 mechanical disc brakes, Surly Rolling Darryl rims, and Surly Nate 26x3.8 tires. The function shaped frame comes in two sizes, Small/Medium and Large/Extra-Large, with modified geometry for easy standover clearance and heel clearance when pedaling in boots. Assembled in the USA. The Cogburn Outdoors brand is targeted at the fin, fur, and feathers crowd, but the not-so-dirty-little-secret is that it's a division of Quality Bicycle Products, the same parent company of Surly Bikes and Salsa Cycles. So you get the same legendary quality of design and construction as these other two snow bike industry pioneers. So, if you or a friend are looking for a way to get to their backcountry adventures with human power, send them our way, or just check out the Cogburn CB4 if you're into a new look for your fat bike. Available in RealTree™ Camo (above), or RealTree™ Snow Camo (below). $2,199.99 each, available from Century Cycles today by special-order.